MARION — Town Administrator Paul Dawson reports that the sitting Marion town clerk and another man have been indicted by a statewide grand jury for allegedly stealing funds from the Carver, Marion, Wareham Regional Refuse Disposal District. In a statement earlier today, the Massachusetts Office of the Inspector General announce indictments against Town Clerk Ray Pickles and Robert Tinkham, age 57, of Carver, two former top officials in the Disposal District. The indictment accuses Pickles of stealing more than $610,000 from the district over six years and Tinkham of stealing more than $65,000. The investigation was conducted by the Inspector General, the Marion Police Department and the Massachusetts Attorney General’s Office, and all three towns cooperated fully in the investigation. Pickles was removed from his position in the Refuse District in January 2018 after the alleged theft of funds was brought to light. “The accusations constitute a staggering abuse of the public trust, and we are grateful to the Marion Police Department, the Inspector General’s Office, and Attorney General Maura Healey’s office for their diligence in bringing out the details of these alleged thefts,” Town Administrator Dawson said. 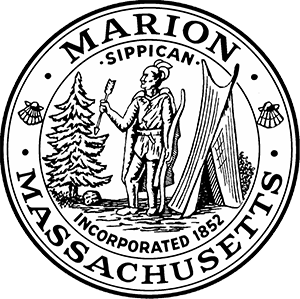 Pickles holds an elected position as Town Clerk through 2020, and the Town of Marion has no process for recalling elected officials, having defeated a warrant item to add such a process at a previous town meeting. The Town of Marion is weighing its legal options at this time. MARION — The Town of Marion honored the life and service of Firefighter Thomas Nye during a memorial service today. Firefighter Nye, age 72, served as a call firefighter with the Marion Fire Department for 45 years. On Feb. 26, he responded to and helped extinguish a chimney fire on Point Road. The following day, he suffered what is believed to be a cardiac incident and was transported to Tobey Hospital, where he was pronounced dead. At noon today, firefighters from around the region marched from the Mattapoisett Police Department, 64 County Road, to the Saunders-Dwyer Funeral Home, 50 County Road (Rt. 6), Mattapoisett for a walk-through. The Nye family has a long history serving the Town of Marion. Firefighter Nye worked in station two, which is dedicated in memory of his older brother, Deputy Chief Nathan Nye and now under the command of his nephew, Capt. Christopher Nye. Firefighter Nye died just a few blocks from the station fighting the chimney fire. Chief Jackvony reflected on Firefighter Nye’s valor, courage, sympathy, honor and love that guided him throughout his career. “Firefighter Thomas Nye, we will miss you and you will live in our hearts forever,” Chief Jackvony concluded. Following the Chief’s tribute and prayer service, members of the Marion Fire Department struck Box 41, transmitting Firefighter Nye’s final alarm. MARION — Fire Chief Brian Jackvony reports that arrangements have been finalized for Marion Firefighter Thomas Nye, who died in the line of duty on Wednesday morning. Visiting hours will be held Sunday, March 3, 2019 from 1-5 p.m. at the Saunders-Dwyer Mattapoisett Home for Funerals, located at 50 County Road (Rt. 6) in Mattapoisett. Burial will be private. At 11 a.m. Sunday, all outside fire personnel attending the visiting hours will be asked to report to the staging area at Old Rochester Regional High School, 135 Marion Road, in Mattapoisett. All firefighters will be bused to the forward staging area, the Mattapoisett Police Department, 64 County Road. At noon, all firefighters will form up and march to the funeral home, where a firefighters’ walk-through will be held at approximately 12:15. After the walk-through, firefighters will assemble outside the funeral home for a prayer service and the ringing of the final bell. At that time, Marion Fire Department fire alarm operators will strike Box 41, transmitting Firefighter Nye’s final alarm. Firefighters will be dismissed at approximately 1 p.m. and will be transported back to the staging area. The news media is welcome outside the funeral home. Media members are asked to park in the commercial parking lot/Dunkin Donuts across the street from the funeral home. Firefighter Nye, age 72, served as a call firefighter with the Marion Fire Department for 45 years. He responded to and helped extinguish a chimney fire on Point Road shortly before 1 p.m. on Tuesday and then returned home. He suffered what is believed to be a cardiac incident and collapsed early Wednesday morning. Firefighter Nye was transported to Tobey Hospital, where he was pronounced dead. MARION — Fire Chief Brian Jackvony would like to announce that tentative plans have been set for a procession for fallen Firefighter Thomas Nye, who died in the line of duty Wednesday morning. Firefighter Nye’s body was transported by a procession of fire engines Thursday morning from Tobey Hospital in Wareham to the Office of the Chief Medical Examiner in Mashpee, to undergo an autopsy. Following the autopsy, which is expected to be completed around 2 p.m. today, Firefighter Nye’s body will be taken in a procession from the medical examiner’s office to Saunders-Dwyer Funeral Home, 50 County Road, Mattapoisett. The procession is tentatively expected to arrive at the funeral home between 2:30-3 p.m.
Any media planning to go to the funeral home today to cover the arrival of Firefighter Nye and the procession are asked to please respect the family’s wishes for privacy at this time.